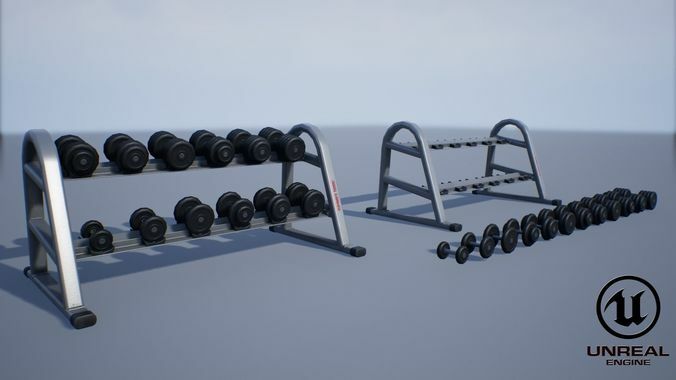 Low-poly PBR Dumbbell Rack and Dumbbell set intended for game/realtime/background use. Model was not intended for subdivision. Include only geometry with uvs, and texture need add manually. Rendering in Unreal Engine 4,Marmoset 3(Wireframe) and Arnold render.